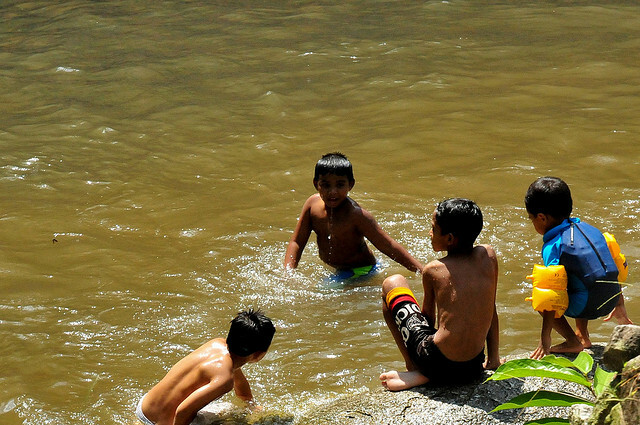 For the past several decades, the water supply in Malaysia has been dwindling, and a looming crisis has been warned of. Responding to this need, Global Environment Centre has launched a three-year water conservation program in Malaysian schools. Called the Water Conservation Program for Schools in Malaysia, its goals are to develop a comprehensive training module on water conservation for schools in Malaysia, to enhance student awareness and knowledge of water management, to provide local initiatives, guidance and support for conservation of the water supply in Malaysia, and to develop websites and blogs as a platform for further information sharing. This program couldn’t come at a better time. Water demand is expected to triple over the next 50 years in Malaysia, and shortages are predicted to occur within the next five years. Despite this, the water supply in Malaysia is being wasted by its citizens. Numerous water-saving objectives have been unmet, but in order for a chance at sustainable development, Malaysia must learn to conserve its water. In order to spread this much-needed education across the country, the Global Environment Centre project will focus its water-saving education on a different area each year from 2014 through 2016. The first year, Global Environment Centre focused on the “central” area of Malaysia in Kuala Lumpur and surrounding state Selangor. In ten selected schools, teachers were briefed on how to educate their students on water conservation. A Water Conservation Training conference was conducted for both students and teachers, and towards the end of the year, each school’s water use was audited, a River Ranger Club (focused on conserving the water supply in Malaysia) was formed at every school, and grants were allocated to schools with the best action plans. Updates on the school follow-up will be released upon their completion. The same has been carried out for ten schools in the “northern” section of Malaysia, in Penang and Perak, and 2016 will see the implementation strategy head south to Negeri Sembilan and/or Malacca. Results of the education programs are eagerly awaited, and though their outcome is uncertain, it is expected that this comprehensive introduction of Malaysian youth to water conservation will help the country save what it needs in order to blossom into the fully-developed country it has the strong potential to become.